If your home or business property relies on dry well systems for the drainage of rain or storm water, it is your responsibility to see that the dry well is periodically cleaned to facilitate easy discharge of the water. If you are looking for a reputable company to resolve any dry well problems, we can help. We at Vac-Tec LLC offer high quality dry well repair services for Bonney Lake, WA residents. You can trust our skilled and trained technicians for efficient dry well repair services. Equipped with the best quality and latest equipment, we will assess the dry well problems. Problems are normally indicated by the dry well being full of water and collecting debris in the well. 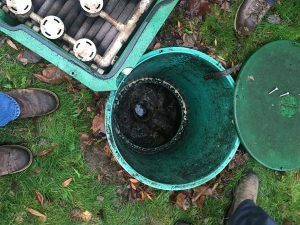 We will assess these problems and provide the right dry well repairs. 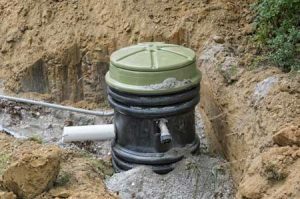 The dry well systems are mostly found in old construction and properties whereas newer construction relies on catch basins and other drainage solutions. You need to work with a company that understands the different drainage systems. Regular maintenance of the dry well systems is recommended to ensure it is properly working. We have been offering dry well rebuilding and repair services for various dry well systems in Bonney Lake for a long time. Keeping your dry well maintained on a regular basis will extend the life of the dry well. There might be several companies working on dry well problems in Bonney Lake. However, when it comes to choosing the best company for dry well maintenance and dry well sealing, you must do your research. When you choose us as the company to handle your dry well problems, you get all this and more. We have a long list of satisfied customers that will vouch for our quality services, reasonable pricing, and excellent customer service. Feel free to call Vac-Tec LLC at (253) 777-4887 for any dry well repair or installation services you may need in Bonney Lake.